#MondayMotivation – Are you getting ready to diversify your referral portfolio? Are you gaining leads from multiple sources or multiple channels? Good time to do so. I have several Broker partners doing things this year that will help them have the best 2018 ahead of them. One is partnering with a local radio station and gaining exposure that way! One of my partners is doing TV ads, and another one of my partners is doing everything they can on social media! The common denominator is that every one of these partners started with online exposure on FB and other social mediums to gain exposure organically (FREE) and then used their profits off a deal or two and invested in paid ads. Weather on TV, Radio or Online, paid advertisements can have a great ROI if you plan it out. If you market it as well. ONLINE! You see Facebook is where you would have the best exposure off a business fan page that works beside the paid ads that you do. I am a big believer in organic exposure and teach others how to use their own business fan page in a way that makes social media work for you. I do offer the done for you solutions when you’re ready to step up your game, 🙂 but you have to take action first. 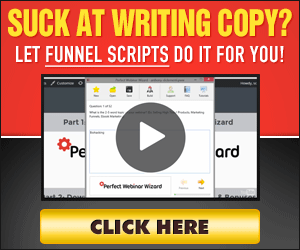 Gain FREE LEADS here! CLICK HERE!! !